Pretty much every strange resume gimmick has been tried at one point or another, but this is one we haven’t seen before. 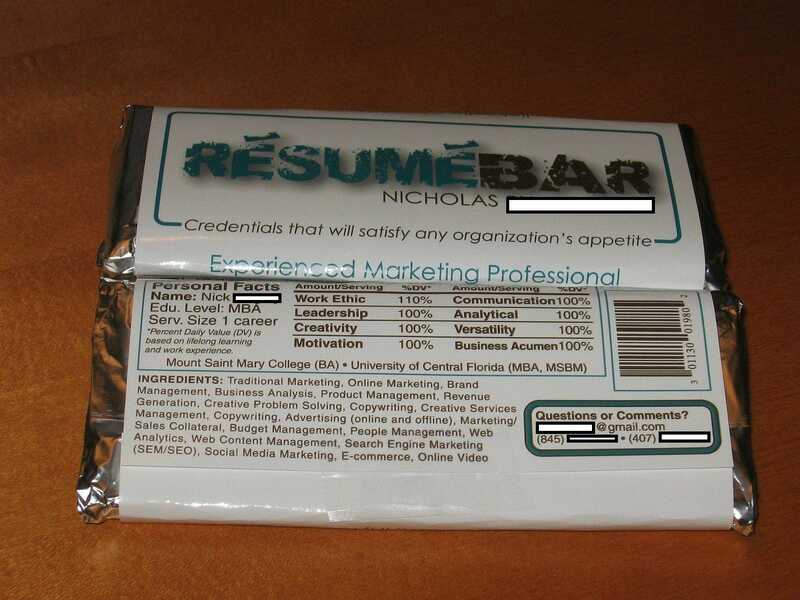 @BuzzFeedAndrew pointed us to this amazing resume posted to Reddit. According to the original poster, Nick got the job. Each resume apparently cost about $2.50 a piece for a total of $15 dollars. The candy? A crunch bar.